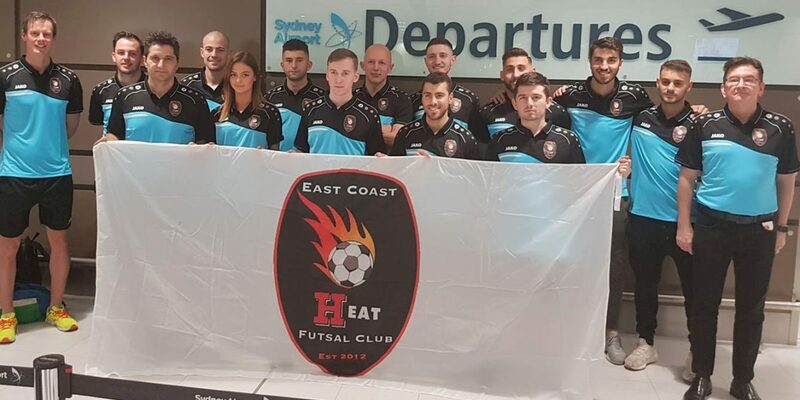 NSW based Futsal club East Coast Heat FC are just one win away from playing in an elusive AFF Club Championship Grand Final as the boys take on local Indonesian side and country Champions SKN Futsal Club Kebumen on Thursday afternoon. East Coast Heat FC topped Group A, albeit on equal points with Myanmar’s MIC FC, but the team finished in first position with seven points thanks to a superior goal difference. SKN Futsal Club Kebumen will be buoyed by a raucous home crowd that is sure to lift the host side but the Heat have been in dazzling form and will be a tough nut to crack come kick-off. East Coast Heat Team Manager Bobby Mazevski is hoping that support from back home via a live stream link will no doubt spur the Australian boys to victory. “There is likely to be a parochial home support and we’d love to see some positive Futsal stories coming off the back off our success so far. “We feel the sport needs and deserves it. Should the Heat prove successful, then they will play in the big dance on Saturday 21st of July in what will be a huge moment for the club and the sport. Football NSW would like to wish East Coast Heat FC the best of luck in this afternoon’s crucial match.